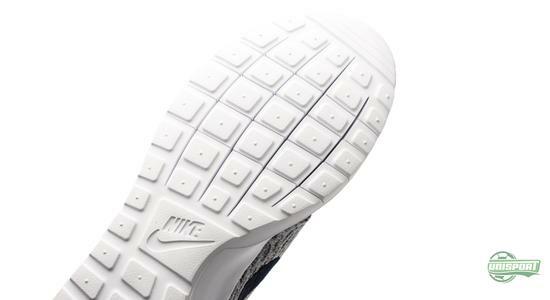 Nike have truly understood that football is not just something that happens on the pith. Today, football has very much become a lifestyle and a part of our personality. It is, for example, expressed via the clothes that you wear. 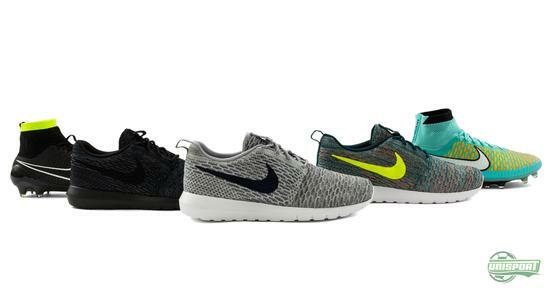 Nike have now brought their vision to life through one of their most popular sneakers -the Roshe Run; and you can now express your football style both on and off the pitch. 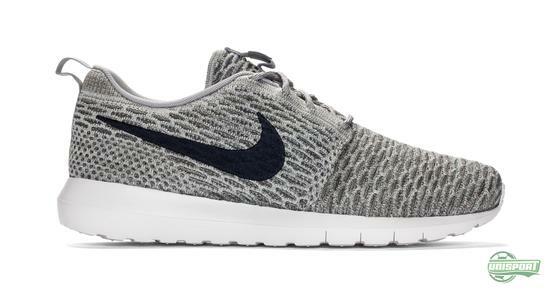 The Roshe Run hit the market back in 2012 and it didn't take long before Nike's new sneaker had found its place in the market. But it had also been in it's way for a while. 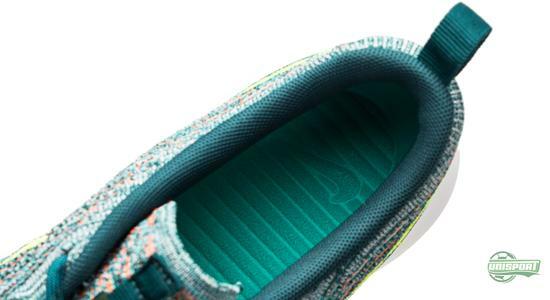 For two years, Nike had been testing more then 15 soles and more than 50 different uppers before they came to the just the right construction. Today, Nike's designers have learnt a lot more about what is working and what is not; and now they have also found inspiration from the football department. 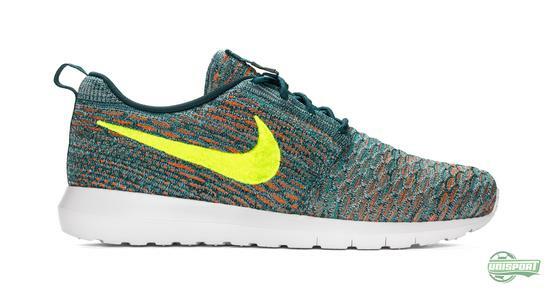 Find the new Nike Roshe Run Flyknit right here – just 130 Euro. 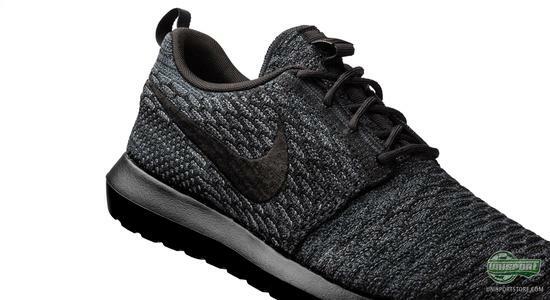 The name Roshe actually comes from the title given to Zen masters, which is Roshi. For legal reasons, Nike however had to swap the 'i' with an 'e'; but it should still be pronounced the same way. And it is the complete and undisturbed state of mind that the Zen masters are in, which has served as inspirational source for the design of the Roshe Run. 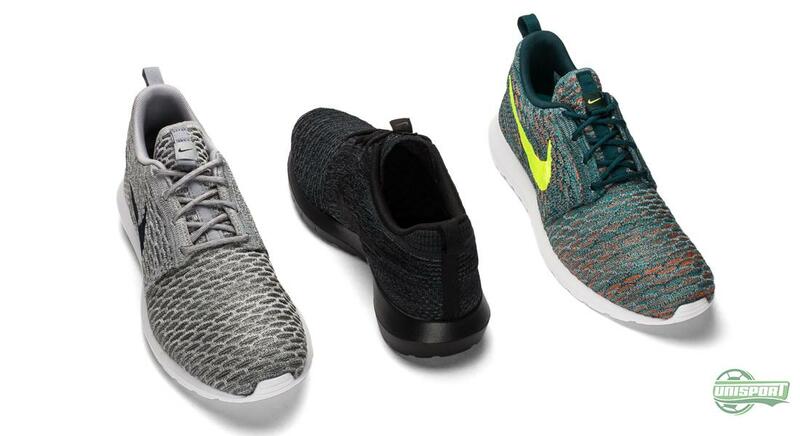 Since the first model was launched back in 2012, the Roshe Run has come out in various colours and concepts, and this around we are talking about a Flyknit fusion version. Hereby, Nike are creating a synergy between their latest innovative footwear from the football boots Magista Obra and Mercurial Superfly. 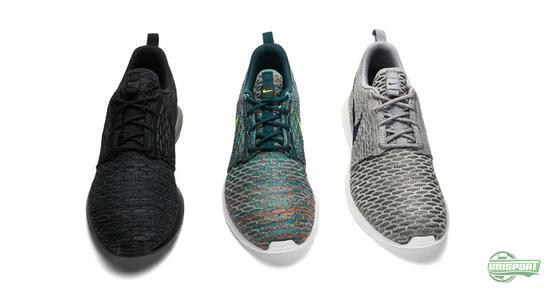 And quite naturally there are also similarities between the designs of the two collections, like the black and turquoise Magista right here. 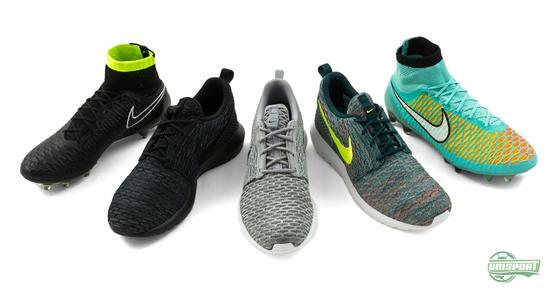 And when Nike say that the have taken inspiration from the Zen master, they are not joking. Every part has been designed with inspiration taken from a Zen garden. Nike's iconic shock absorbing waffle sole has been modified to express the stepping stones, the extra comfortable inlay sole reflects the bumpy stone gardens, and the slightly longer construction of the midsole represents the harmony between seriousness and fun. 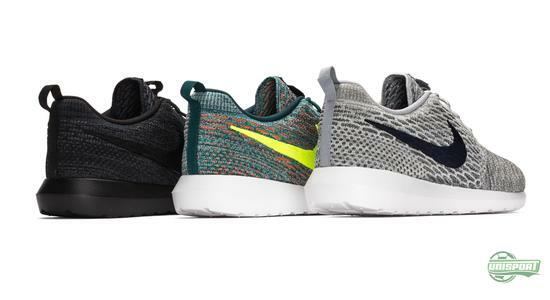 Nike are very concerned with making sure that things are matching, and the new Roshe Run Flyknit does not only match the Magista collection. 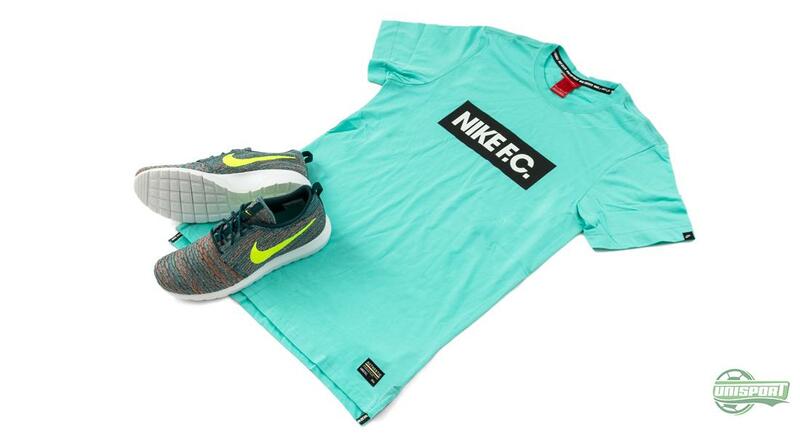 If you're also into the Nike F.C. you can find the popular Block T-shirts in a number of colours, so you can express your style just as you want it. 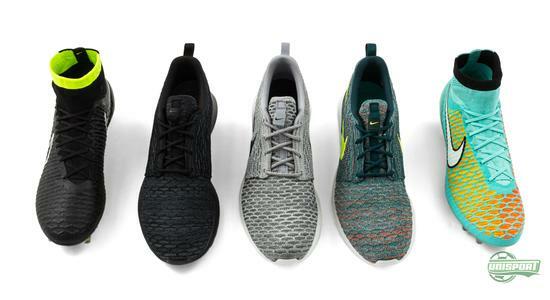 The new Roshe Run Flyknit is Nike's latest football and running shoe fusion, and what a result. We are certainly not gonna complain about Nike's flirt with Flyknit. 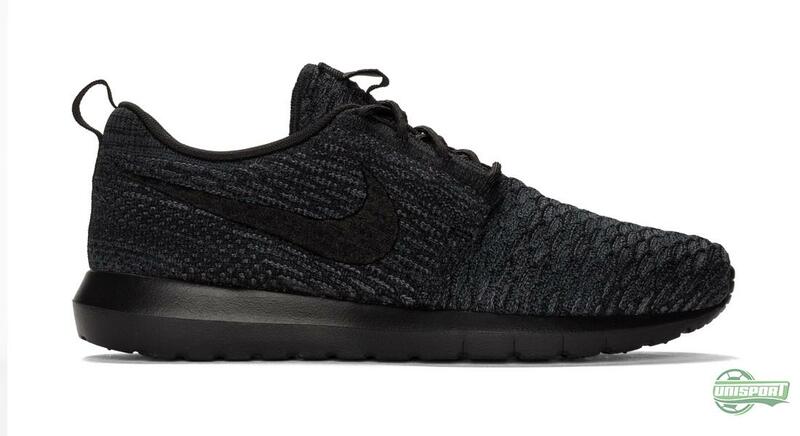 What do you think of the new Roshe Run?